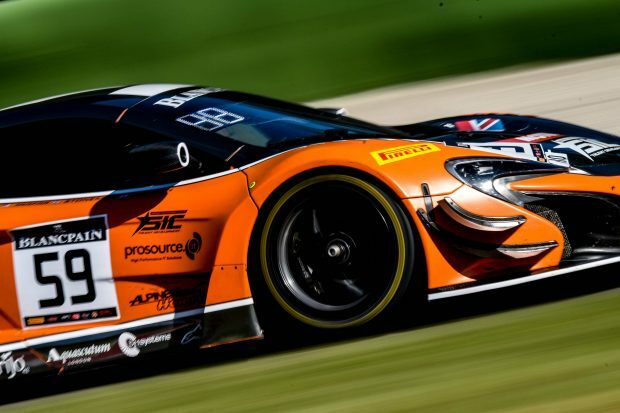 A huge multi-car accident off the start line at the first round of the Blancpain Endurance Series in Monza ended the race weekend for the #59 Strakka Racing McLaren 650S GT3. McLaren Academy Driver, Jazeman Jaafar, due to be the second of the three drivers behind the wheel in the race, was disappointed not to have the chance of racing. The Monza season opener of the Blancpain Endurance Series attracted a healthy grid of sportscars representing eleven different manufacturers with the two-day event packed with track action. The weekend began on Friday with the Free Practice sessions. Jazeman, sharing the driving duties with British drivers, Andrew Watson and Dean Stoneman, drove in the second of these sessions after Andrew had kicked off the weekend earlier in the day. Both drivers reported technical issues in their stints, with the car unable to run at full pace. After extensive investigation by the Strakka crew a technical issue was identified and the team set to work to resolve them. Jazeman was behind the wheel for the first qualifying session but after the setbacks in the practice sessions had to focus on bedding in brakes and discs before putting in a qualifying pace lap. He put in a solid effort to record fifteenth fastest lap in class. Andrew improved on this in the second session, but Dean wasn’t able to have a clear lap, with the #59 car dropping back down the field. Dean was selected to start the race, but his time behind the wheel was shortlived. The 52 car grid made the start but in the run down to the first corner jostling cars made contact, with a Bentley pushing a Lamborghini spinning into the midst of the field causing unavoidable accidents around it. With 16 cars involved in the crash, the race was red-flagged, but unfortunately the #59 McLaren was amongst the damaged cars and was unable to take the race restart. Jazeman said of the weekend, “What can I say? I’m a racer and just want to be out on track doing my job, so of course it was a disappointing end to the weekend. These things happen, but it’s tough. We hadn’t had the best of preparations after the earlier issues, but these had been sorted and we were confident of a competitive pace, we just didn’t have the chance to show it”. The second round of the Blancpain Endurance Series takes place at Silverstone circuit in the UK from 13-14th May.